What sounds like gunshots are currently exploding outside of Gramercy Row apartments on 22nd street between Lexington and Third Avenue in Manhattan, New York. As you can see by the videotape, a Baruch security guard is standing idly by and doing nothing about the jarring noise. 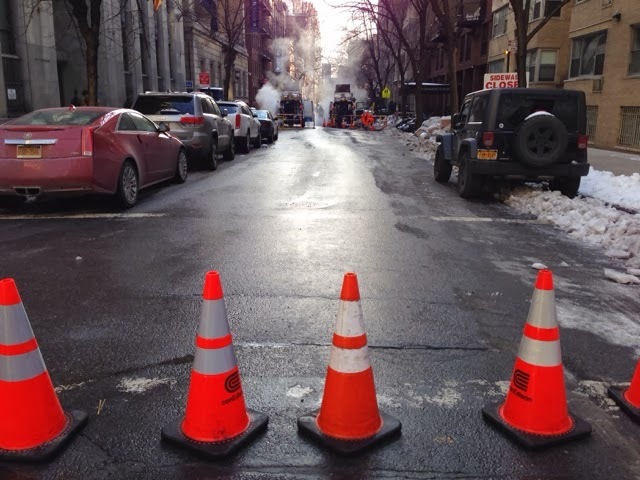 Every seven seconds (nearly exactly) you can hear a sound like a gunshot going off coming from a Con Edison work site. The electric company has been doing underground work in this spot for many months and it appears the site was not properly secured for water damage. The recent snowfall seems to have penetrated the metal plates covering the site and caused an underground electrical issue resulting in an explosion every seven seconds. What you are hearing in the video is actual audio from the scene. Although we are not certain at this time whether or not this is a dangerous area, it is currently roped off with "FIRE LINE DO NOT CROSS" tape, and anyone passing by is certain to be startled by the abrupt noise. We will have more for you as this story develops. 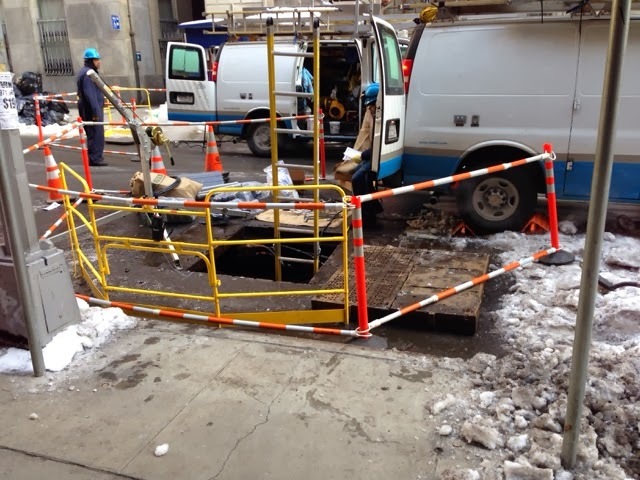 * update: As of 9:15am on Thursday, February 7th, Con Edison trucks have closed down the street and have removed the metal plates to fix the issue.